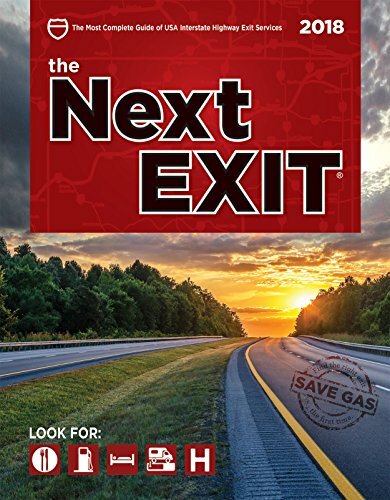 With this being our third trip to the Gettysburg area this summer alone, we decided it was time to do a little sight-seeing and gain some more insight about the historical events that happened here. 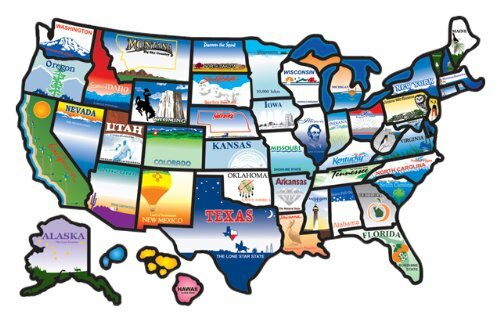 (Aunt Vick you would be so proud of all I learned today, sorry I didn’t pay more attention in your social studies class! But, better late than never, right?) We started off with a Gettysburg Battlefield Bus Tour last Saturday that provided a quick and easy way to travel the battlefield. Our guide was super knowledgable and able to provide enough detail to allow you to visualize the 3 day battle, but not too much information to be confusing for those of us (Betsy) that are historically challenged. As we traveled the streets of Gettysburg, he pointed out lots of historic buildings and monuments. 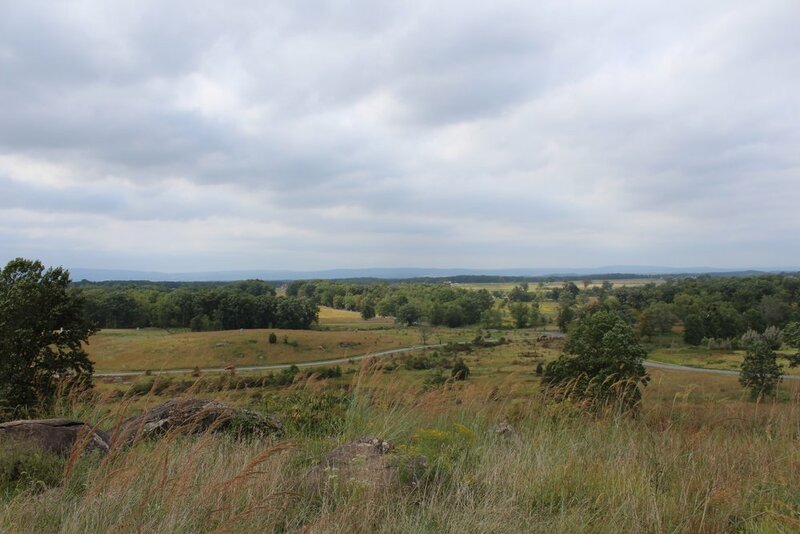 We stopped twice along the route to get a closer look at the battlefield, including a stop at the top of Little Round Top for a great perspective of battlefield. Here are a few photos we snapped during the bus tour…. Upon checking in at Artillery Ridge Camping Resort, we were given free tickets to three tourist attractions and we decided to take advantage of the complimentary tickets. 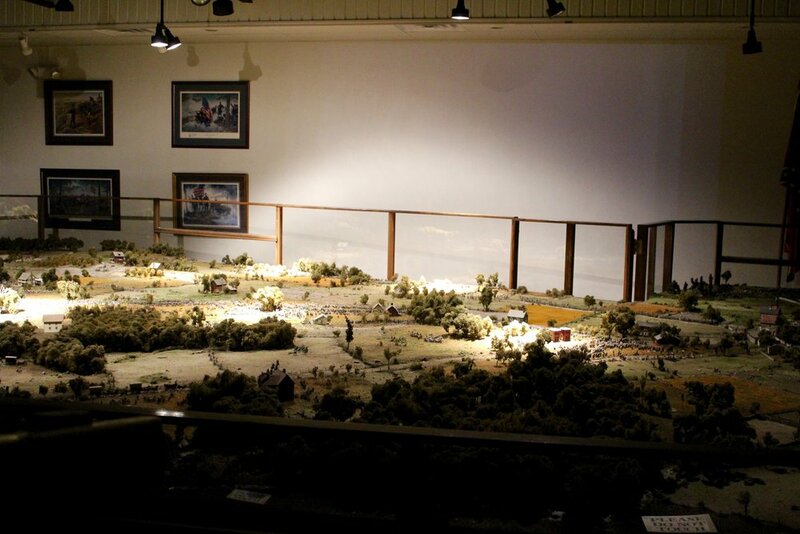 On Monday, we headed out in the afternoon starting at the Gettysburg Diorama. I enjoyed that at the diorama we were able to see the entire 6,000-acre battlefield all it once. 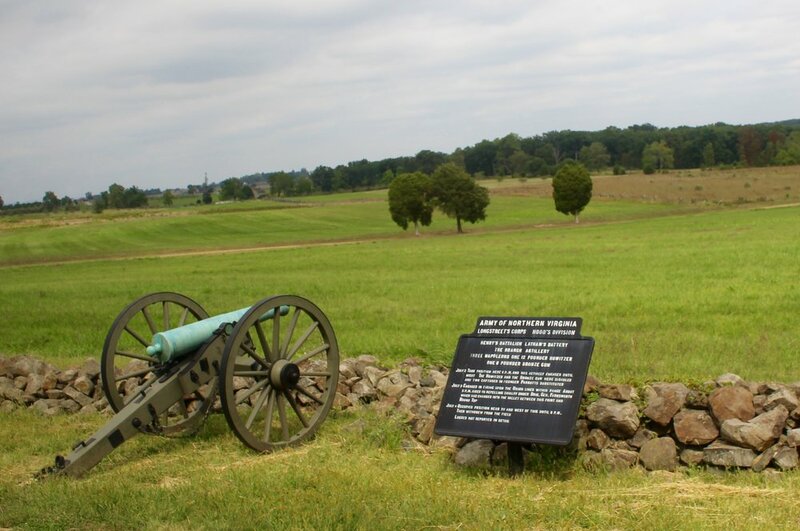 It provided a great perspective as to what happened where and when during the three-day battle of Gettysburg. While it wasn’t a super fancy display, the thirty-minute light and sound show was very informative. I would recommend this stop as one of the first things to do in Gettysburg as it provides and excellent bird’s eye view with the models and topography being to scale and historically accurate. I wish I had visited the Gettysburg Diorama prior to taking the bus tour yesterday as I would have had a better understanding of the lay of the land. 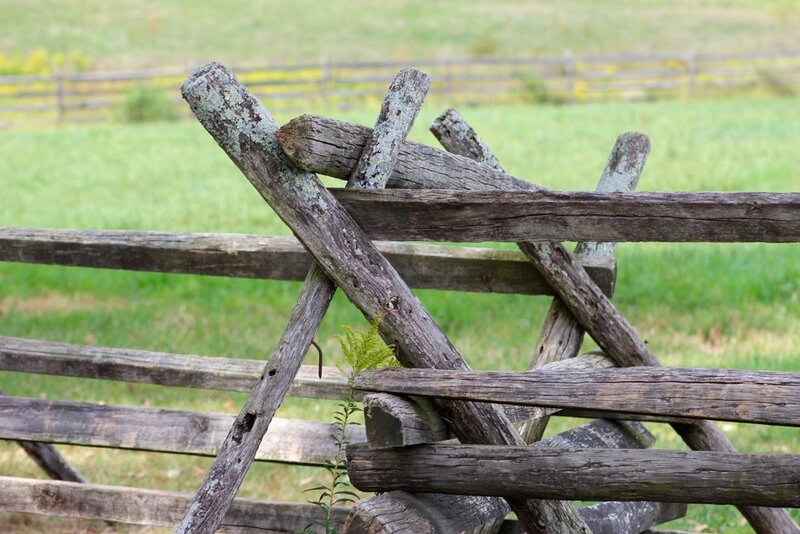 Meet General Robert E. Lee as he shared his thoughts on his decision to launch Pickett's Charge. See Jenny Wade moments before her death. Watch President Lincoln as he relayed his worry and concern for the momentous battle taking place in Gettysburg. See Joshua Chamberlain as he sent the 20th Maine down Little Round Top and into the History of America. Witness Generals Longstreet, Pickett and Armistead discuss what was about to take place on July 3rd, 1863. 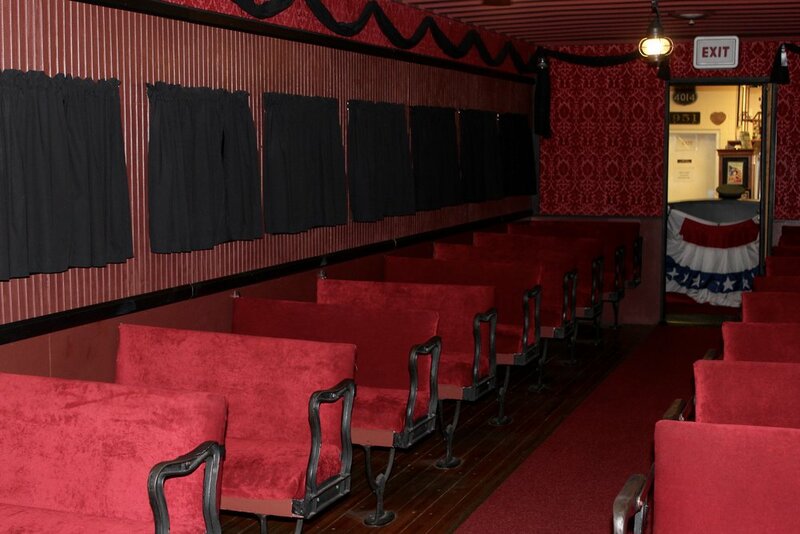 Our last free ticket was for the Lincoln Train Museum located just down the street. Upon redeeming our ticket we were given a token to come aboard the Lincoln Train Ride to journey through American history in a series of short videos from our founding fathers to the present. 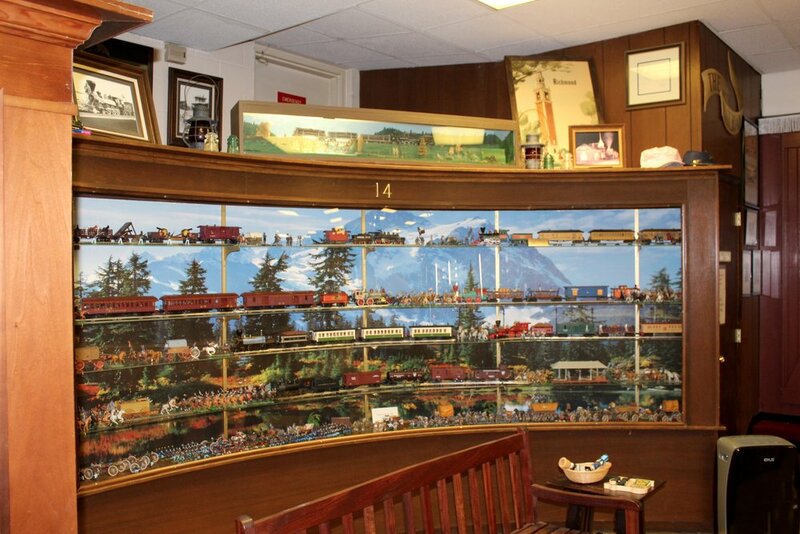 After that, we entered the muesum that was filled with displayed and model train layouts. We sat in a train bench and watched a model funeral train on its journey from Washington DC to Springfield, IL carrying the remains of Abraham Lincoln and his son Willy. 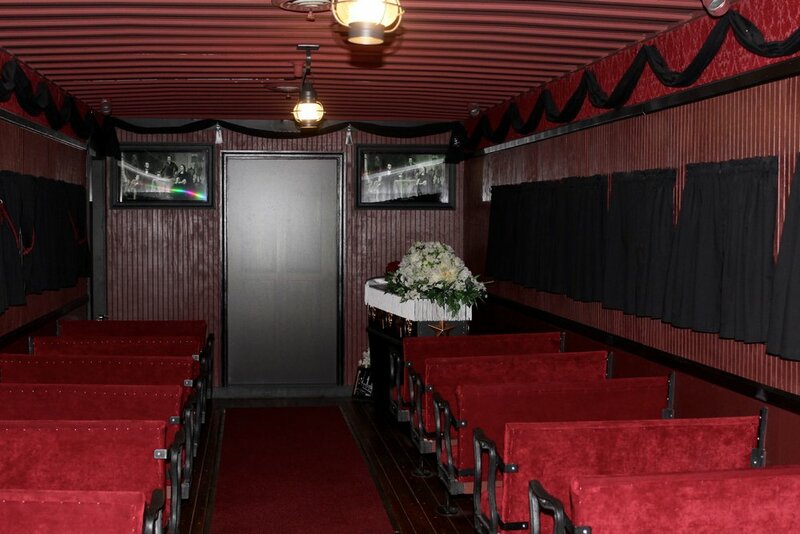 The last attraction at the Lincoln Train Museum was to board the full size Lincoln Funeral Car. This was a simulated ride along with Lincoln’s casket as he shared is love of America. Kids would probably enjoy this simulated journey as it did feel like you were actually riding in a train. While we weren’t blown away by these tourist attractions, we did end the day with more knowledge of historic Gettysburg and did enjoy each of our stops. Also, if you choose to stay at Artillery Ridge Camping Resort, I definitely recommend taking advantage of the free tickets!